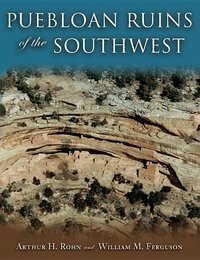 David E. Stuart incorporates extensive new research findings through groundbreaking archaeology to explore the rise and fall of the Chaco Anasazi and how it parallels patterns throughout modern societies in this new edition. Adding new research findings on caloric flows in prehistoric times and investigating the evolutionary dynamics induced by these forces as well as exploring the consequences of an increasingly detached central Chacoan decision-making structure, Stuart argues that Chaco's failure was a failure to adapt to the consequences of rapid growth--including problems with the misuse of farmland, malnutrition, loss of community, and inability to deal with climatic catastrophe. Ten thousand years ago, humans first colonized this seemingly inhospitable landscape with its scorching hot deserts and upland areas that drop below freezing even during the early summer months. The initial hunter-gatherer bands gradually adapted to become sedentary village groups. The high point of Southwestern civilization was reached with the emergence of cultures known as Anasazi, Hohokam, and Mogollon in the first millennium AD. Interweaving the latest archaeological evidence with early first-person accounts, Stephen Plog explains the rise and mysterious fall of Southwestern cultures. 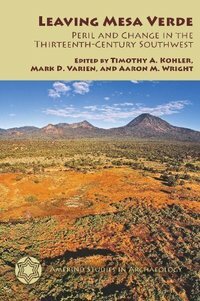 For this revised edition, he discusses new research and its implications for our understanding of the prehistoric Southwest. As he concludes, the Southwest is still home to vibrant Native American communities who carry on many of the old traditions. 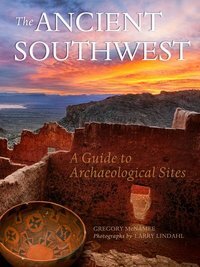 Take a trip to the Ancient Southwest. McNamee guides you on a memorable tour through 50 national and state parks, monuments and other sites in the modern American Southwest. Simultaneously, he leads you far back in time, to the eras when the earliest human beings lived in what is now Arizona, Colorado, New Mexico, and Utah. These ancient people left intriguing clues behind them: pueblos, tools, pottery, jewelry, baskets, petroglyphs, pictographs, corncobs, ropes, tree rings, kivas, and weavings. From such evidence, archaeologists can reconstruct sophisticated cultures with advanced knowledge of astronomy, architecture, agriculture, and art. 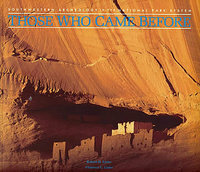 In more than 100 spectacular photographs, Larry Lindahl captures the essence of these remarkable locations, including Mesa Verde National Park, Canyon de Chelly National Monument, Navajo National Monument, Chaco Culture National Historic Park, Canyonlands National Park, and many more. 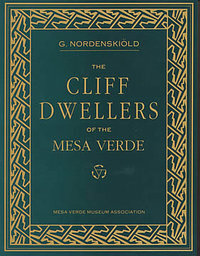 In 1891, Swedish scientist Gustaf Nordenskiold studied, explored, and photographed many of Mesa Verde’s cliff dwellings. 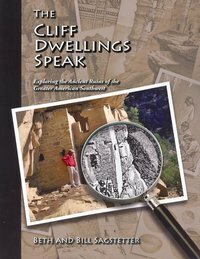 Considered by many to be the first true archeologist at Mesa Verde, his book, The Cliff Dwellers of the Mesa Verde, was the first extensive record of its cliff dwellings. This edition is richly illustrated with Nordenskiold's own drawings and photographs which have been digitally remastered. The Cliff Dwellings Speak empowers Southwestern travelers to decipher remnants from the past. It covers cliff dwellings from Colorado and Utah in the North, in Arizona and New Mexico and even into Northern Mexico. This is not your typical guidebook. It does not disclose site locations nor name the ancient ruins. Instead, it guides the explorer around a site in Sherlock Holmes fashion, providing clear tools for understanding cliff dwellings. 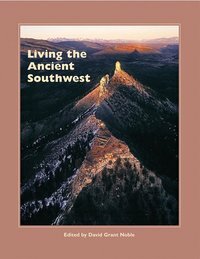 It is an introduction to Southwestern archaeology and the culture of the current Pueblo people, descendants of the cliff dwellers. Stephen H. Lekson weaves together the parallel narratives of a political history of the pre-Hispanic American Southwest and a critical intellectual history of southwestern archaeology. Writing in an engaging, literate, and humorous style, Lekson casts the ancient Southwest as the revolving scene of dramatic events played out by elites and commoners, locals and foreigners, imitators and innovators. The strikingly communal, democratic, and settled nature of historic Pueblo peoples is seen as a deliberate cultural reaction to a far darker past when kings ruled. Likewise, the author reacts to archaeology's preoccupation with being scientific and explaining cultural processes at the expense of understanding history. The greatest "unsolved mystery" of the American Southwest is the fate of the Anasazi. Was it drought? Pestilence? War? Forced migration, mass murder or suicide? Conflicting theories have abounded for years, capturing the North American imagination for eons. Join Craig Childs as he draws on the latest scholarly research, as well as a lifetime of exploration in the forbidden landscapes of the American Southwest, to shed new light on this compelling mystery. 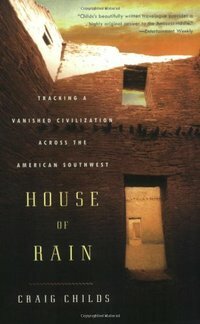 It is one of the great mysteries in the archaeology of the Americas: the depopulation of the northern Southwest in the late thirteenth-century AD. Considering the numbers of people affected, the distances moved, the permanence of the departures, the severity of the surrounding conditions, and the human suffering and culture change that accompanied them, the abrupt conclusion to the farming way of life in this region is one of the greatest disruptions in recorded history. Emerging from the paleoenvironmental and archaeological investigations of fifteen scientists is a highly pertinent story of conflict and disruption influenced by climate change, environmental degradation, and social rigidity. The overall picture that results from these scientific contributions recognizes an era having witnessed a competition between differing social and economic organizations, in which selective migration was considerably hastened by severe climatic, environmental, and social upheaval. Understanding the question of where and why the Ancient Puebloans of the Northern San Juan Region in the American Southwest departed after more than 700 years of residency, has been central to Southwestern Archaeology. Much of the focus on this topic has been directed at understanding the role of climate change, drought, violence, and population pressure. The role of social factors, particularly religious change and sociopolitical organization, are less well understood. 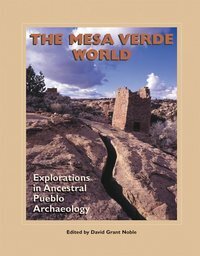 Bringing together multiple lines of evidence, including settlement patterns, pottery exchange networks, and changes in ceremonial and civic architecture, this book takes a historical perspective that naturally forefronts the social factors underlying the depopulation of Mesa Verde. Author Donna M. Glowacki shows how "living and leaving" were experienced across the region and what role differing stressors and enablers had in causing emigration. In this illustrated anthology, readers will discover chapters written over the past several decades by anthropologist-writers. 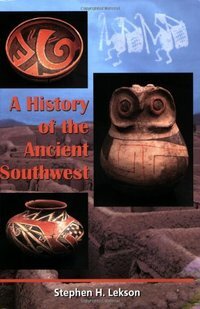 They speak about the beauty and originality of Mimbres pottery, the rock paintings in Canyon de Chelly, the history of the Wupatki Navajos, O'odham songs describing ancient trails to the Pacific Coast, and other subjects relating to the deep indigenous history and culture of the American Southwest. Mesa Verde, with its stunning landscapes and cliff dwellings, evokes all the romance of American archaeology. It has intrigued researchers and visitors for more than a century. But "Mesa Verde" represents more than cliff dwellings--its peoples created a culture that thrived for a thousand years in Southwestern Colorado and southeastern Utah. Archaeologists have discovered dozens of long-buried hamlets and villages spread for miles across the Great Sage Plain west and north of Mesa Verde. Only lately have these sites begun to reveal their secrets. In recent decades, archaeologists have been working intensively in the Mesa Verde region to build the story of its ancestral Pueblo inhabitants. The Mesa Verde World showcases new findings about the region's prehistory, environment, and archaeological history, from newly discovered reservoir systems on Mesa Verde to astronomical alignments at Yellow Jacket Pueblo. 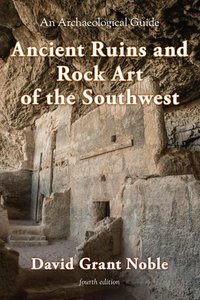 Key topics include farming, settlement, sacred landscapes, cosmology and astronomy, rock art, warfare, migration, and contemporary Pueblo perspectives. Puebloan Ruins of the Southwest offers a complete picture of Puebloan culture from its prehistoric beginnings through twenty-five hundred years of growth and change, ending with the modern-day Pueblo Indians of New Mexico and Arizona. Aerial and ground photographs, over 325 in color, and sixty settlement plans provide an armchair trip to ruins that are open to the public and that may be visited or viewed from nearby. Included, too, are the living pueblos from Taos in north central New Mexico along the Rio Grande Valley to Isleta, and westward through Acoma and Zuni to the Hopi pueblos in Arizona. 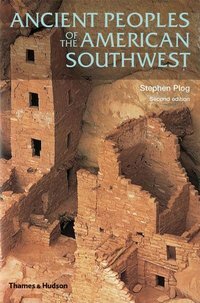 In addition to the architecture of the ruins, Puebloan Ruins of the Southwest gives a detailed overview of the Pueblo Indians' lifestyles including their spiritual practices, food, clothing, shelter, physical appearance, tools, government, water management, trade, ceramics, and migrations.